Carrie tagged me in her Versatile Blogger post so I get to tell you 7 more interesting (or semi-interesting) things about me. It has taken me days of thinking to figure out 7 things about me, this post has been sitting open on my desktop since Tuesday night and I'm just finally finishing it now, I've been a major blogging slacker this week!! 1. 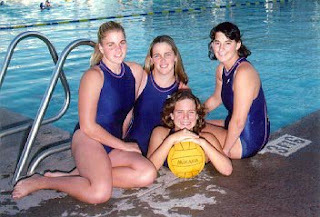 I was a swimmer and water polo player in high school. I LOVED both! I was never the fastest swimmer but I had so much fun! My favorite event was the 200-IM (individual medely). I wish there was a good place to swim now because I miss it! 2. 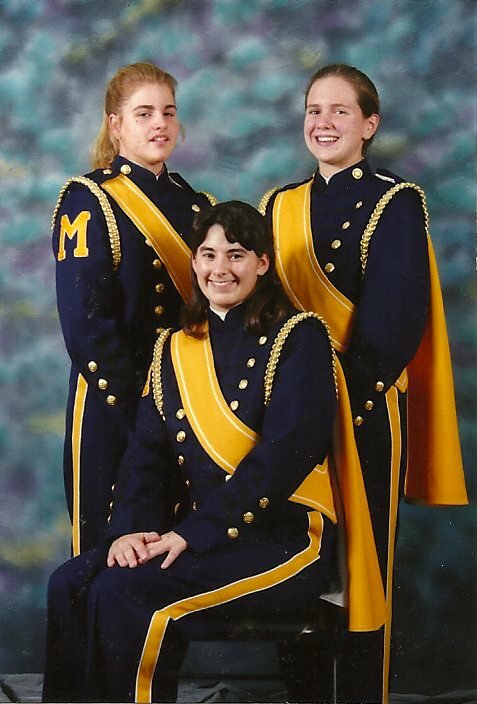 I played the flute and piccolo through high school. We were in the Hollywood Christmas Parade and the Rose Parade while I was in school and it was tons of fun. We were nearly selected to be in the innagural parade for Bill Clinton (the first time) but didn't end up finalists. 3. The only time I've been out of the country is when I went on a cruise with my family after high school. It was a Mexican Riviera cruise. 4. I used to be nearly fluent in Spanish, I read a few novels and was really adept. But I'm a slacker and let my skills go and now I can hardly understand anything! 5. I work at a lake and am a Park Ranger and had never been fishing until hubs and I were dating. I've still only been twice. It's too still for me! 6. I have worked at the same place for just over 13 years (and I'm only 32) I love my job and where I work so I will probaby be there for quite a bit longer. 7. I have texture issues with food, anything with seeds is a no go for me (although I do love sesame seeds). I also have trouble with pudding and yogurt, I can only eat yogurt when I mix things into it. That's it! I didn't tag anyone to post their own list because I tagged quite a few of you that I know read my blog last time. So, if you've never done this (or want to do it again) consider yourself tagged. My 10 year old started playing the flute (my flute to be exact)and now I remember what those first years were like, it's fun to watch her learn! You have a natural resource degree?! Small world! Swimming just takes practice Laura, and someone to teach you if you really need it. Can't wait to read your 7 things. I would love to be a park ranger too I think except I worry I would get annoyed by stupid people, does that happen? It does happen quite a bit, people tend to leave their brains at the gate! But, you just learn to live with it and laugh a bit. I feel you about the Spanish thing. I used to be really good at Arabic (and spent a LOT of hours getting there) and now I can barely count to ten because I haven't used it in over 2 years.